As a Mobile AL school photographer, I get to meet a LOT of really great kids. As you can imagine, each one comes with a unique personality. My goal in my brief 1-2 minutes with each child is to capture a certain look from them. And it may not be what you think! While I LOVE getting big open-mouthed smiles from kids (and I do act super silly to achieve that), what I am really looking for is THE look. You know the one. The only you see on your child's face all the time. For some, it might be the big laugh. For others it might be the sideways, mischievous glance. Or the pensive "looking to your soul" gaze. The very best compliments I receive back from parents is "You caught my child. I see THAT face all the time, and you captured it!" The secret, though, is that I don't always know exactly WHICH one it is. So I shoot a lot. And I deliver a variety of expressions in your online gallery. Because YOU will know it when you see it. Sometimes THE look is a smile. But sometimes it's more than that. 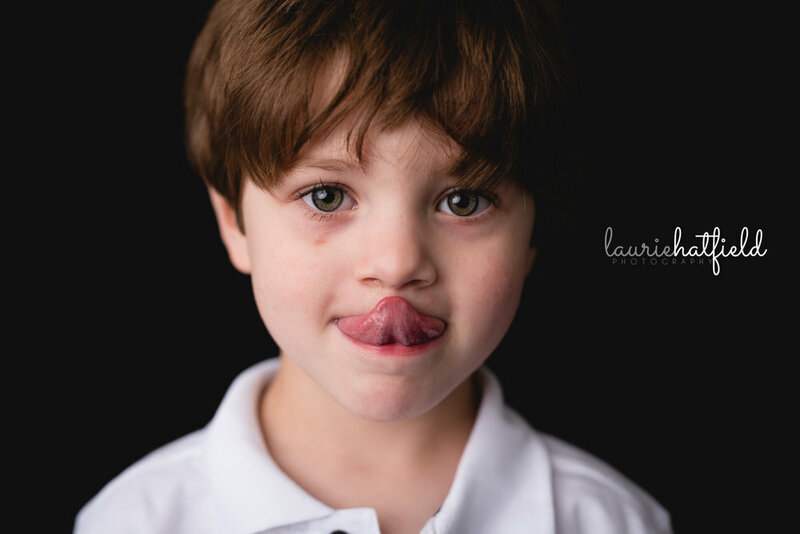 Boutique School Photography is not your average school portraits! Wanna see them at your child's school? Use the form below to let me know to reach out to your school!